I found the classic fit to be a little too tight. I am 6’ 3” and weigh 188 pounds and wear a 42 long sports jacket. I am not overweight. I expect a classic fit to be loose not tight across the chest and stomach. Response from Charles Tyrwhitt: Our Classic Fit shirts are indeed designed to be very generous across the chest/stomach area, so it's rather disappointing to learn they were a touch tight on you. If you think it would be suitable, you are welcome to try a 16" collar instead - this will give you around 2" more across the chest and waist of the shirts. If this appeals, please raise a return online with us at www.ctshirts.com/rebound. Handsome, well made. What I sought. 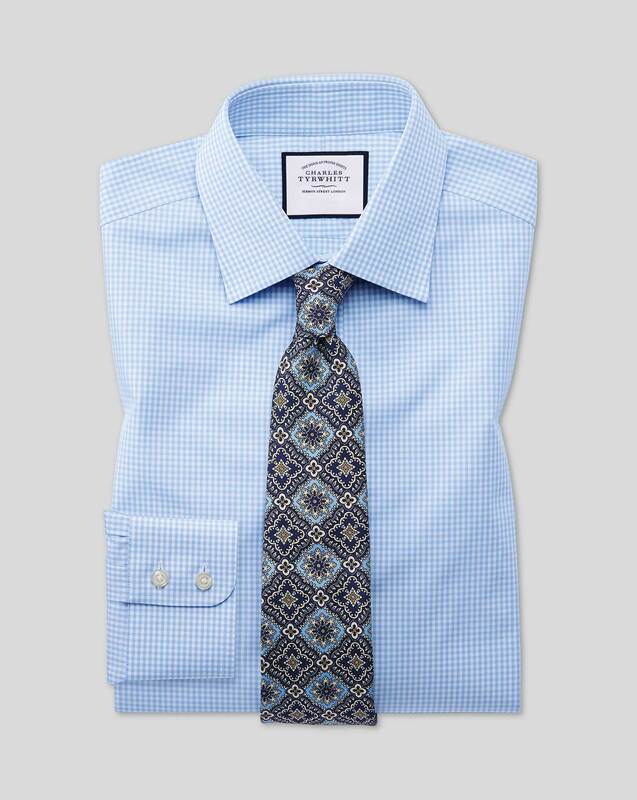 Beautiful fabric, no ironing required. Beautiful fit and finish! It’s like bespoke. I thought I ordered all button down shirts which is normally my preferred style but I found the shirt very nice. Response from Charles Tyrwhitt: I do apologise for any mix-up over the style of shirt ordered here, but I'm delighted that you were still very pleased with this particular shirt! Returning an exchanging a shirt is a very simple process should you ever require it - you can access this through the online returns portal at www.ctshirts.com/rebound.